The way in which letters are arranged in sequence to produce the pronunciation of a word is referred to as spelling or orthography. In some languages, such as Spanish, the correspondence between the letter and the sound is fairly straightforward as each letter or letter combination almost always represents one certain sound. For example, compare the Spanish maleta with its English equivalent suitcase. The pronunciation of the vowels a and e in the former remains relatively constant across words, whereas that of u, i, a, and e in the latter is far from being stable across the English vocabulary, the largest and richest of all languages. During the rather complex history of English, the language has been subjected to numerous influences that resulted in it actually becoming a mixture of other languages, benefiting from abundant contributions to its vocabulary, but also blending different spelling systems. These contribute to the irregular and sometimes incredibly inconsistent and confusing spelling of the written language, which in turn interacts with a varied and sometimes unpredictable pronunciation. In order to master English spelling, one needs to learn a great many spelling rules and be aware of the numerous possible letter combinations. One of the most notorious inconsistencies among letter-sound correspondences is represented in the various sounds of the letter combination ough. Robert A. Heinlein in his novel The Door into Summer came up with the following sentence to demonstrate this: "Though the tough cough and hiccough plough him through." Though is pronounced as slow, tough as huff, and cough rhymes with off. Hiccough is pronounced as cup, plough as how, and through rhymes with you. Such spelling inconsistencies were ridiculed by playwright George Bernard Shaw, who suggested that the word fish should be spelled ghoti, as gh would stand for f (laugh), o for i (woman in the plural as pronounced /wimin/) and ti would replace sh (as in nation). 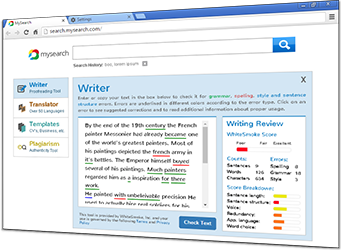 However still, despite the bad reputation English spelling suffers from, hundreds of millions of English learners all over the world have managed to overcome it as they strive to improve their knowledge of the undisputed international language, used daily on millions of Internet sites – all in English. 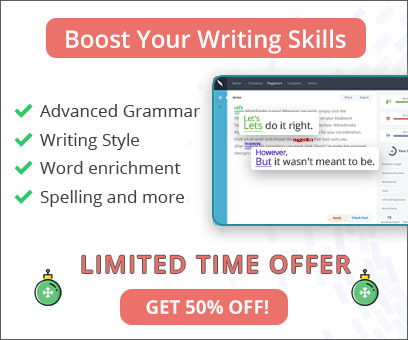 A perfect tool to help you in the process of mastering English spelling is the WhiteSmoke online grammar and English writing software, which relies on cutting edge artificial intelligence algorithms that provide contextual proofreading any text you write in any application. When the Anglo-Saxons started arriving at the British Isles around the 5th century AD, the Germanic roots of their language gradually created the core of Old English vocabulary, similar to modern German words, such as father, mother, daughter, son, under, hand, house ,and cow. These were originally spelled and pronounced differently, but were transformed due to later linguistic changes. Additional contact with the language of the indigenous Celts and ongoing word borrowing from Latin speaking merchants, Roman conquerors and Christian monks have resulted in more words that integrated different spelling systems ( street, plant, altar, kitchen, butter, wine). Printing was at its early stages and there was still no set spelling standard, which would only later be canonized in dictionaries and language manuals. Divergent spellings for the same word occurred very often, sometimes even in the same sentence. This resulted, for instance, in the letter o bearing three different pronunciations in l ove, grove, and prove; the consonant digraph th replacing older letters; and o sounding like u in come, son and love. From the 15th century onwards, the phonological phenomenon known as the Great Vowel Shift caused numerous vowel pronunciations to change into those more familiar to us today and thus marked the transition into Early Modern English. The spelling, however, remained as it was and still represented the Middle English pronunciation, adding another dimension to the bewildering English spelling saga. Instead of initiating a full realignment of English spelling according to commonly accepted conventions, the expansion of printing has actually fossilized both old and new irregularities with remnants from all the language sources, which by then had been contributing to the ever-growing English vocabulary. The additional silent "magic" e, common to many words in English, followed these developments, in addition to the ough conundrum, illustrated above. The English Renaissance of the 16th century boosted a renewed interest in classical Greek and Latin, bringing in a new wave of borrowed words, either with their original spelling (a now silent b in debt to resemble the Latin debitum, s in island as in Latin insula instead of Norse igland) or anglicized along the lines of the new spelling practices. This again amounted to yet further spelling diversity in words such as democracy, theory, physics, and rhythm from Greek ( y in the middle of a word indicates Greek origin); medicine, library, recipe, conviction, and index from Latin. The rise in education, printing and reading; English replacing Latin in church services; upward social mobility, and increased communication among the different parts of English society were some of the initial steps to finally start bringing order to the English spelling chaos, which by now had been set in print. The publication of the first significant English dictionary by Samuel Johnson in 1755 and others that followed, the publication of the King James Bible in 1611, and the literary works of William Shakespeare mark the onset of Modern English. As written communication was becoming more prevalent, there was less leeway for spelling deviance. The British economy and naval trade prospered, allowing for culture and science to flourish, ever contributing to the development and enrichment of the printed lexicon. The 19th century revolutionized science and technology and gave rise to even more words, prefixes and suffixes from classical languages (cholesterol, telegraph, telephone, cyanide, and philanthropist). The British colonization of America and other imperialist ventures around the globe allowed English to literally usurp a great deal of languages for more and more words that still keep spicing up English orthography with spelling irregularities. A major development following the global expansion of English is the spelling differences between British and American English, initially instigated by the publication of Noah Webster's American Dictionary in 1828. Words are constantly being added to the English language and are transcribed using the Roman alphabet (mustang, algebra, bungalow, samurai, and voodoo, to name a few). The global mass media and the Internet constantly bring world cultures and languages into dynamic interaction that yields more diversity and richness in every aspect of our lives. The lexical and orthographical richness of English is a challenge worth overcoming in the quest for proficiency in the language common to us all.